Our work focuses on the dynamics and distribution of biomes, especially within and at the intersection of savanna and forest. We use a combination of empirical and modeling approaches to understand how local interactions of trees with their resource and disturbance environment scale up to predict landscape- and continental-scale patterns in tree cover and the distributions of biomes. I am especially interested in the idea that historical ecological patterns are fundamental drivers determining current and future distributions of ecological pattern. Hysteresis and historical contingencies are major, but relatively under-appreciated, determinants of ecological dynamics. The lab’s field work has focused primarily in savannas in South Africa, especially Kruger and Hluhluwe iMfolozi Parks, but we are also involved in field work in both savannas and forests of tropical Brazil, Peru, and Bolivia. What determines the global distribution of savanna and forest? Research on the global distribution and ecology of biomes has overwhelmingly focused on the role of bottom-up, resource-driven hypotheses. Ecologists have recognized for decades or more that climate is a primary determinant of large-scale vegetation distributions, but the relationship between climate and spatial vegetation pattern is not always deterministic. 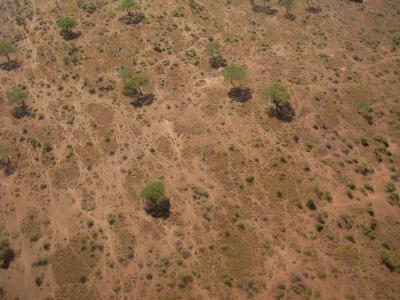 Dynamic systems where vegetation-environment feedbacks are significant – such as savannas – present a particular challenge. Fire and possibly other top-down ecological drivers can have impacts on biome distributions that are as intense and extensive as those of bottom-up drivers. Our recent work has shown that, over large parts of their range, savannas persist where climate can support forests because fire limits tree cover. 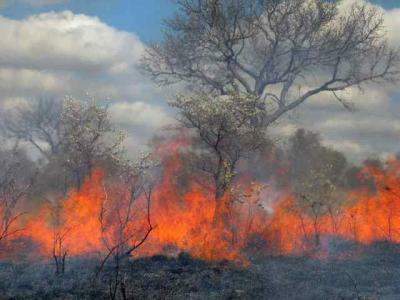 Low tree cover in turn facilitates the accumulation of grass biomass, which fuels frequent fires in savannas, such that savannas potentially represent a stable alternative to forests, maintained by a positive feedback with fire. Spatial interactions between savanna and forest have largely been ignored to date. But these boundary interactions might be significant: After all, savannas near forests are often subject to forest encroachment, and marginal forests sometimes experience fires. The historical importance of these boundary processes and their impacts on savanna and forest distributions is still unknown. Our lab is currently pursuing theoretical and empirical work to examine how spatial interactions between savanna and forest have impacted their distribution globally. What drives variability in vegetation structure within the savanna biome? Savanna is a notoriously variable biome. The grass layer is continuous (usually) and the tree layer discontinuous, ranging from near zero to 60 percent or more. A predictive understanding of the processes that give rise to that variability has been elusive. The challenge lies in the interactions between resource availability (including soil moisture and nutrients) and chronic disturbances (including fire and herbivory) that shape both grass and tree layer dynamics. Chronic disturbances play a special role in savanna ecosystems: Savannas include a significant grassy component, which promotes both herbivory and/or fire, which can in turn promote grass. Understanding the ecological and evolutionary role of chronic disturbances in savannas depends on understanding (a) how vegetation determines disturbance regimes and (b) how disturbance regimes feed back on vegetation to influence ecosystem structure. Predicting the response of ecosystem structure to resource availability and disturbance depends on understanding the responses of individual plants and populations, as well. In systems where competition structures communities, plant strategies – in terms of growth, carbon allocation, nutrient acquisition – are relatively well understood. However, plant strategies in response to joint constraints from chronic disturbance and resource limitation are less understood.